In the beginning of each year thousands of believers in God (Jesus) are going on a Daniel Fast. While some fully understand what it is and how to do it, others are new to the idea of fasting and need more help than others. In the next few paragraphs I will talk about the What, Why and the How of the Daniel Fast. Fasting ALWAYS involves FOOD! You might have heard some say: “I am fasting my friends,” or “I am fasting television,” etc. However these people misunderstand what fasting is and isn’t. The Hebrew word for fast means “to cover the mouth.” The Greek word for fast means “to abstain from food.” While we do need to get away from every day destructions of our lives and spend time alone with God, away from people, fasting is always about restricting food! Everything else is self-discipline and dying to our flesh. So, to truly benefit from the fast one would have to restrict/change their normal food intake. Fasting is a spiritual discipline. It is done not so we can change God’s mind, but rather to get quiet before Him, so we can hear what He is speaking. When we satisfy our flesh with everything that it demands we tend to drown out God’s voice because we become very preoccupied with self-gratification. During fasting we take charge of our flesh, making it a servant to our spirit, and thus we are able to get in tune with what the Holy Spirit is speaking to us. Fasting is NEVER to be done to show off what one might perceive as spirituality. Jesus was very clear on the subject. So, when you fast, don’t toot your own horn, don’t brag about what you are doing and how you are “sacrificing” something for God—let the Lord be your Rewarder, not men! However, if you are taking part in a congregational fast, feel free to invite others to join, with humility. You might find that having outside support will help you be more diligent about your efforts as well. The Daniel Fast is a Biblically based partial fast* based on two instances of Daniel’s fasting experiences. Pleasant/precious food, which would include all sweeteners, including honey, agave syrup, maples syrup, etc. “I ate no choice food; no meat or wine touched my lips; and I used no lotions at all until the three weeks were over.” (v 3). I know some refer to Daniel 1 for food guidelines: fruit, veggies only. However, the chapter never says how long Daniel and his friends ate that way, neither does the Bible call it a fast. So, being that I really wanted to dig into it, and one of my Jewish readers brought that to my attention, I reached to someone who might know something on the topic. One of my friends spent many years of her life in Israel, knowing bit information than we do about fasting practices. She concurred–there is no reference to not having leavened bread during the fast, and unleavened bread was normally consumed during the Passover feast. As such, the lesson here is, if you find leavened bread to be “pleasant food”, or something you think you cannot live without, then you can avoid leavened bread during the fast; if not, you can use bread recipe found at the end of this ebook to make some at home, for your family, to ensure you avoid any additives and chemicals. Or you can try this delicious, completely Daniel Fast approved, unleavened tortillas (full recipe in the link). 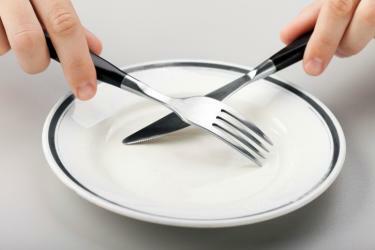 *while full fasts exclude all foods, and at times even water, partial fasts permit a restricted food intake. 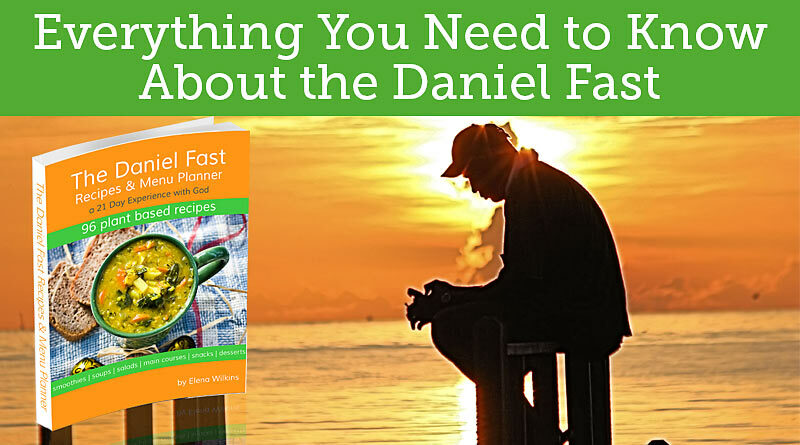 Get the Daniel Fast Menu Planner Now! Fasting is not a diet! Fasting is not done for weight loss! Fasting is ALWAYS done for spiritual purposes. Fasting should be done with a PURPOSE! Before you begin the fast you should decide on the purpose of your fast. Without a purpose, you will be simply dieting. Take the time to prayerfully consider the reason of your fast. What is your greatest need at this time? Can your marriage grow stronger? Are you facing financial difficulties? Do you want to learn to trust God and develop a deeper relationship with Him? Take the time in prayer to decide on the purpose of your fast. When you are fasting, set time aside for prayer, worship, meditation and Bible study. Keep a journal of your revelations, of what God is speaking to you. Invite the Holy Spirit to guide you and to reveal areas in your life that need purification. What Happens During the Fast? Daniel Fast is undertaken by people of all ages for many various reasons. However, whatever your need/reason is you can be certain that your entire being will benefit from it: Spirit, Soul and Body. We are a triune being. When we fast we learn to allow God-intended order into our life: human is a spirit that possesses a soul and lives in a body. Our bodies are most definitely going to be effected as we change our diet for 21 days. For some the change is going to be very dramatic. You might experience detoxing from food addictions, such as: caffeine, processed or unnatural foods, chemicals and sugar. The symptoms that accompany detox process might be light or more pronounced: headaches, leg cramps, fatigue, nausea and even light depression. As the body will detox, the symptoms will alleviate and you will experience more energy, better sleep, clearer and sharper mind, and many other benefits. So, take the time to ride it out. If you need support, ask others for prayer, and, if you are on Facebook, join the Daniel Fast group I created for this very purpose. Most people will lose weight during the fast. Many experience healings from various maladies, such as: diabetes, allergies, arthritis, high cholesterol and even cancer. The soul is the central place of our emotions, intellect and will. It is the place where we make decisions, experience anger, fear, love, frustration and cravings. The soul is frequently referred to as “the flesh” in the Bible. During the fast your soul may rebel against the change in your diet. You will get an opportunity to experience and win this battle over the flesh, which might prove to be one of the most powerful lessons of the fast. Our spirit is the part of us that has been born again when we gave our lives over to Christ. It should be the part that surrenders to God. When we are fully surrendered we can truly abide with the Father and the Son. Our spirit is filled with the Holy Spirit if we yield to Him. The purpose of the fast is to place our spirit in control of the other two parts of us: soul and body. When our flesh is acting out with a craving, we take control of it with our spirit (just imagine as parents would take control of a rebellious child). this instantly downlodable ebook contains 96 Daniel Fast recipes, including smoothies, salads and salad dressings, soups, main courses, snacks and even desserts! click for details. In addition to spending time in prayer to decide on the focus of your fast you should take the time to prepare your body as well. Start easing off things that you feel you cannot live without: ease off caffeine, sugar, animal (if you eat an omnivorous diet) and processed foods. Try to do it before the first day of the fast, otherwise you might experience mild-to-strong detox symptoms: headaches, cramping, nausea, etc. I would also strongly suggest for you not to go on an eating binge of all your favorite food the night before your fast begins! I call it the Last Supper when I train people. First, it really shows that your flesh is stronger than your spirit, secondly, it will be harder for you to start the fast because processed, animal and fatty foods will create a craving that will be hard to deal with for days to come. To prepare for the fast, start drinking more water to flush out toxins faster and make the transition easier. So, if you weigh 180 lbs., you should drink 90 oz. of filtered water a day. By increasing fluid consumption you will help your body to flush out toxins and train it not to store extra water. You can drink warm/hot water throughout the day with a wedge of lemon to help reduce fluid retention. However, make sure that you the water you drink is without chemicals as much as possible. The longer you consume Daniel Fast diet, the more you will find that eventually you not be as thirsty anymore, since most of your foods will keep their natural juices: fruits, vegetables, blended smoothies, etc. You will learn to follow your body’s thirst and hunger signals, as it gets more adapted to a cleaner diet. Physically, especially in the beginning of the fast, you might experience hunger pains. Before going for a snack or a meal drink some water—most people misunderstand signs of dehydration for hunger. If you drink some water the “hunger” pains might go away. If hunger does not go away, make sure to snack, not to experience sugar spikes. The purpose of the fast is not to simply change the foods you eat but also to restrict how much you eat, so learn to spend the time you would normally spend eating in prayer and meditation. However it is also advisable that you eat smaller meals throughout the day instead of three huge “square” meals and overwhelm your body. By “snacking” throughout the day, you will be able to aid your body in processing the foods you eat faster and easier, while maintaining the level of clarity needed to perform daily tasks. Spiritually, you will experience a more successful fast when you spend time each day in prayer and communion with God. Establish a time during the day for quite time and meditation on the Word of God. Study His Word and seek His face. You might have to set aside some time at home, or, if you have a long commute to and from work, take it to talk to the Savior, worship and listen to an audio Bible. Emotionally you might be tempted during the fast to break a few “rules” and eat/drink something your body craves. For example, you might decide not to drink water only but include herbal teas. However, think that Daniel refused to eat any pleasant food/drinks, and for the most part the herbal teas that we consume are to add a pleasant taste. There are exceptions when you might be drinking certain herbs for therapeutic reasons, such as parsley, chamomile or clover teas. If the temptation comes, I hope you can learn a lesson by examining yourself. Ask yourself why you would want the thing you desire. If you respond in the manner that will indicate that it is because YOU WANT it, it will be a good time to exercise control over your flesh and show it who is truly in control. However, I would highly recommend not to get too legalistic with some of the guidelines—after all, it is the condition of your spirit (your heart) that matters most to God. So, if drinking an herbal tea is not a big deal (an addiction) for you, and you decide to do it, do so, with peace in your heart. You can print it out and take it with you when you go grocery shopping. All fruits. These can be fresh, frozen, dried, juiced or canned. However, you will fill much better physically if you consume fresh fruit. If you decide on canned fruit, make sure that no sweeteners of preservatives were used in the process. I also would suggest avoiding juiced fruit (if you juice at home), as the released sugars will spike your blood sugar levels too fast. By keeping the fiber you will still enjoy the fruit, while also keeping your body happy. apples, apricots, bananas, blackberries, blueberries, boysenberries, cantaloupe, cherries, cranberries, figs, grapefruit, grapes, guava, honeydew melon, kiwi, lemons, limes, mangoes, nectarines, oranges, papayas, peaches, pears, pineapples, plums, prunes, raisins, raspberries, strawberries, tangelos, tangerines, watermelon. All vegetables. These can be fresh, frozen, dried, juiced or canned. Same rule would apply to canned vegetables as to that of fruit. all kinds of greens, artichokes, asparagus, beets, broccoli, Brussels sprouts, cabbage, carrots, cauliflower, celery, chili peppers, collard greens, corn, cucumbers, eggplant, garlic, ginger root, kale, leeks, lettuce, mushrooms, mustard greens, okra, onions, parsley, potatoes, radishes, rutabagas, scallions, spinach, sprouts, squashes, sweet potatoes, tomatoes, turnips, watercress, yams, zucchini. whole wheat, brown rice, millet, quinoa, oats, barley, grits, whole wheat pasta, whole wheat tortillas, rice cakes and popcorn. sunflower seeds, cashews, peanuts, sesame. Also, additive free nut butters including peanut butter, although I highly recommend avoiding peanut butter, unless it is freshly made, as it might be highly processed and roasted oils (as found in roasted nuts) are harmful to our health. All legumes. These can be canned or dried. If canned, make sure not preservatives or sugars were used. dried beans, pinto beans, split peas, lentils, black eyed peas, kidney beans, black beans, cannellini beans, white beans. Other: soy sauce, vinegar, seasonings, salt (sea or Himalayan salt preferred, see below for a detailed explanation), herbs and spices. Table Salt is highly processed, and most of the times not vegan in nature, which means it has some sort of animal residue in it, due to processing. Oftentimes, to bleach salt it is processed through crushed animals bones. Not only that, but since it is highly processed it has NO nutritional value and is sure to raise your blood pressure. As humans we need very little salt in our diet and we regularly consume way too much of it. This fast will be an opportunity for you to retrain your body to eat healthier… and to feel better! If you do decide to use salt, buy the kinds still have minerals in it, such as Sea or Himalayan salt. beef, lamb, pork, poultry, and fish. milk, cheese, cream, butter, and eggs. sugar, raw sugar, honey, syrups, molasses, and cane juice. limited to artificial flavorings, food additives, chemicals, white rice, white flour, and foods that contain artificial preservatives. potato chips, French fries, corn chips. coffee, tea, carbonated beverages, energy drinks, and alcohol. I would strongly suggest not using any packaged (boxed), canned or bottled foods during the fast. However, if you do, please remember to READ THE LABELS! Foods should be sugar and chemical free. Using boxed whole wheat pasta products, as long as they contain basic ingredients, should be just fine. You should seek the advice of your health care practitioner about medications you might be taking. If you depend on them for any serious reason DO NOT discontinue them without first advising your doctor. Supplements are food for the most part and can be safely taken during Daniel Fast. Special Note: if you have health issues, please be sure to contact your health professional for advice before committing to any fast. You can print out the list of foods you will be using on the Daniel Fast and take it with you. Daniel Fast is very sound and safe and most practitioners will be more than happy to approve it. However, if in doubt, check it out! If you are an expectant mother OR if you are nursing, talk to your doctor first. She might okay it. So, listen to her. If she does, ease into Daniel Fast. Since most of the foods sold in grocery stores nowadays are heavily processed, so they won’t meet Daniel Fast guidelines, you will find it necessary to make your own meals. Meal preparation can be very simple, or more complex, depending on how much time you desire to spend in the kitchen. It can be as simple as slicing up some veggies and fruits and snacking on them throughout the day, or more involved if you want to create a very special dinner for yourself and your loved ones. There are certain steps you can take, however, to help yourself streamline food preparation. You will find it easy to succeed if you plan your meals a few days ahead of time. You can plan them for the entire week. Once you make sure you have all the ingredients you won’t be as tempted to grab foods that you used to consume before the fast to satisfy your hunger. In addition to preparing your meal plan for the week and buying groceries for it, I would strongly suggest that you clean out your cupboards from all of the foods that are not Daniel Fast acceptable–out of sight, hopefully, out of mind. It is much easier to overcome a temptation to have Ben & Jerry’s ice cream when you cannot easily find it in your house. Instead, when you open your fridge you might see an apple or a banana and go for it. 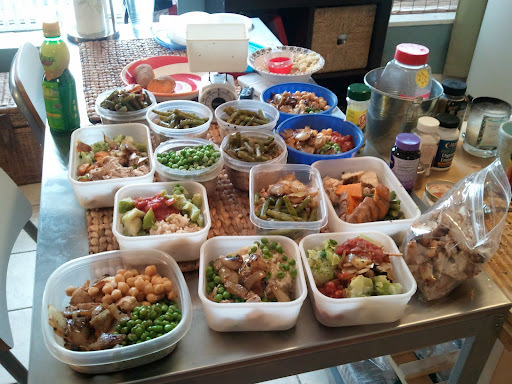 Another way to save time and avoid temptations is to prepare your meals ahead of time. Use a day when you are not working to wash, chop, cook and refrigerate/freeze your meals for the whole week, or several meals in advance. For example you can make a large pot of soup and refrigerate/freeze portions of it to be eaten throughout the week. It makes it easy to pull it out and warm it up later. You can also prepare all of your salad ingredients, place them into bags or glass containers and refrigerate, so when you want a salad all you would have to do is pull out your containers and quickly assemble a scrumptious salad. In all things, I would like to remind you that being legalistic about these guidelines is not the best decision. After all, a true fast happens in the heart of the person fasting—it is much more important than the foods s/he eats. If you end up being stranded somewhere and cannot fulfill the fast guidelines you choose, you will have to eat what you can. Maintaining a heart of worship and humility is going to be what matters in the end. That is the fast that the Lord chooses. Is it not to share your food with the hungry and to provide the poor wanderer with shelter—when you see the naked, to clothe them, and not to turn away from your own flesh and blood? This blog is filled with Daniel Fast approved recipes–pick and choose what you need. 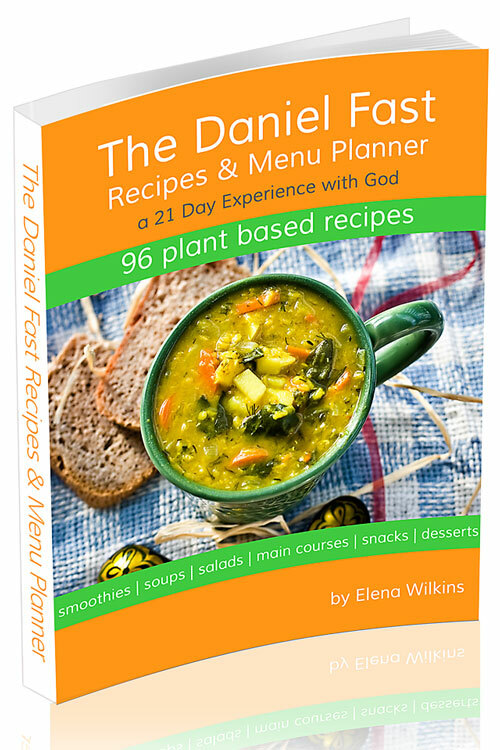 You can also get The Daniel Fast Meal Planner. 11 bonus recipes for the members of your household who are not doing the Daniel Fast. Recipes range from soups, salads, main dishes and desserts.